As from April 2014 we will no longer be supplying mussels. We will be taking the business in a new direction, focusing on a wild food supply to both restaurants and retail, as well as our foraging courses. Matt has 4 recipes featured in 'Saltwater Kitchen Cookbook: Cornish Food Adventures from the Beach to the Table' published in May 2015. 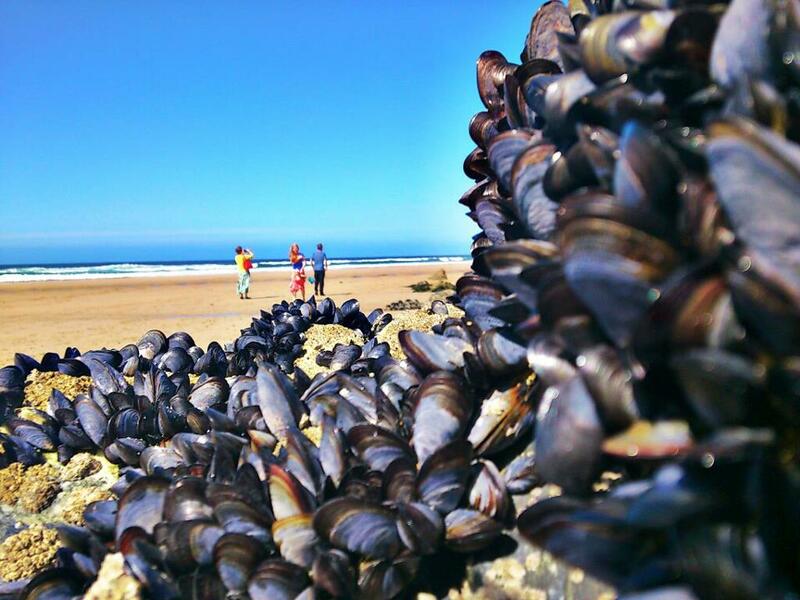 "Probably the best mussels I have seen outside of New Zealand!" We are The Cornish Mussel Shack - a small family business that specialises in hand dived and hand picked mussels. We also supply sustainable seasonal foraged produce such as Samphire and Sea Beet. Because all our mussels are picked and cleaned by hand they generally have a longer shelf life than those processed by heavy machinery. This also means as a business our carbon footprint is very low. Hand diving means we can select mussels of a good size, leaving smaller ones to grow on. Generally our mussels are two or three times bigger than the average. All mussels unsold are returned to a holding area on the river to be picked and processed again at a later date thus ensuring almost zero waste. Mussels are available in 1 kg bags which will comfortably serve two. All of our shellfish are purified, cleaned and ready to cook. If you are interested in our unique product for your restaurant please give us a call for prices and delivery options.